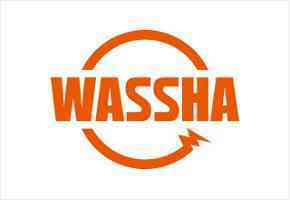 WASSHA Incorporation; provide the rental device and charging service using clean energy. Our mission is to provide power to the people through Kiosks, WASSHA provides a whole new experience for people in off-grid areas with affordable, accessible and safe electricity. WASSHA agents provide the rental and charging services to end users. We use the environment friendly energy and Agents don’t need to prepare initial investment to get enough power as we lease every device. We are looking for Marketing officers to promote company’s products/services. This can involve marketing existing products, developing new products to cater for consumer demand, or developing markets for new products or services. Marketing Officer contribute to and develop integrated marketing campaigns. Interested individuals should submit their applications to recruit@tz.wassha.com indicating why you think you qualify for this post. Email subject should indicate the region you apply for. Names and contacts of three referees who have supervised you in your previous working history. Also local residents belonging in those regions, who meets the above qualifications are highly encourage.